The episode begins with an explanation of the titans, how they appeared over a hundred years ago and began preying on humanity. In retaliation, humans built three walls to keep the titans out. With the wall breached the titans are eating everyone in Zhiganshina, a small protrusion from the wall meant to focus the attack of titans on that small area, to simplify the defense of the wall. 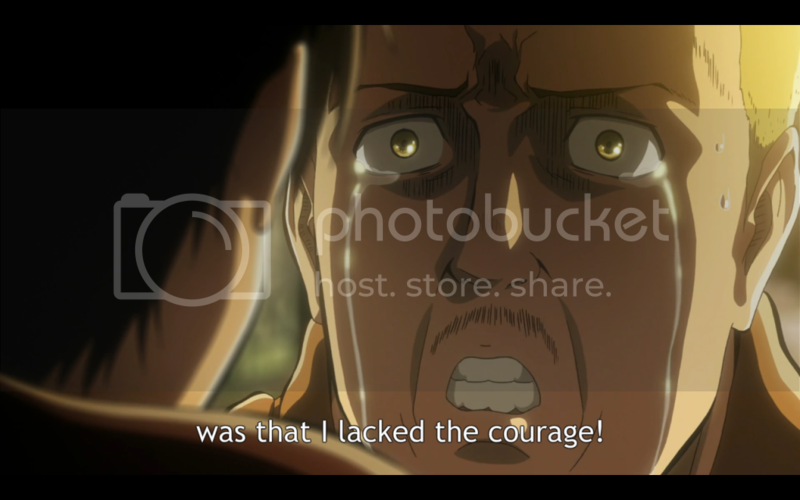 Eren gets angry at Hannes for leaving his mother behind, Hannes confesses that the reason he took them and ran was because he lacked the courage to fight the titan. The refugees make it past the gate in the Maria wall and start loading up boats to escape in. The soldiers continue to defend the wall, but a large titan, not the largest one, but a similar looking one, rams the wall Maria and breaks it down. 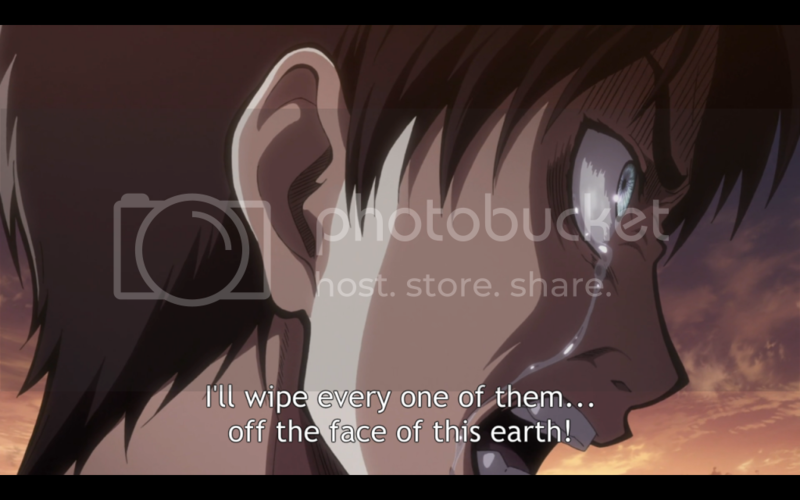 On the ships, Eren vows that he will not just sit there crying, that instead he will kill all the titans. The refugees are taken past wall Rose. Eren has a dream of his father going crazy and injecting him with some kind of drug. In the dream his father tells Eren to remember the key and to make it back to their home and the secret hidden in the basement. 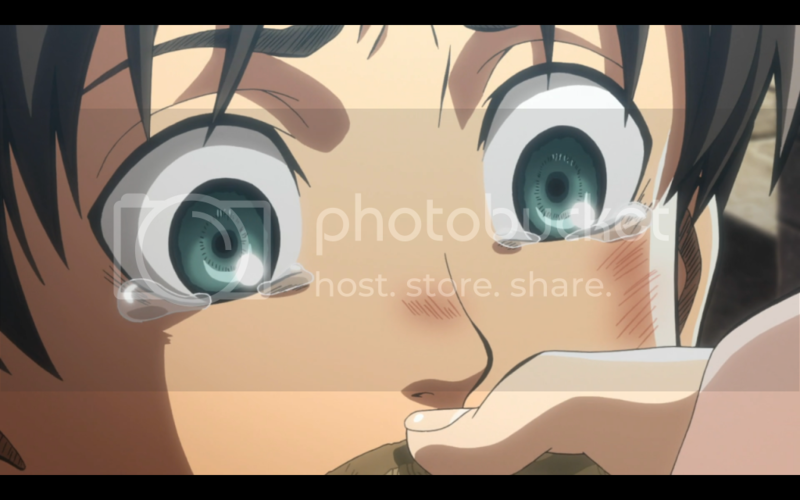 Eren wakes up and finds that he has his father’s key. 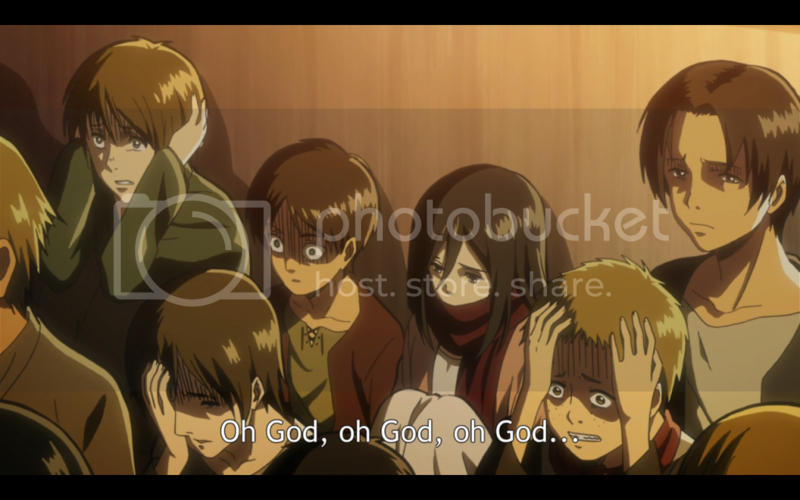 Mikasa tells him food is being handed out. Armin brings them a roll each. 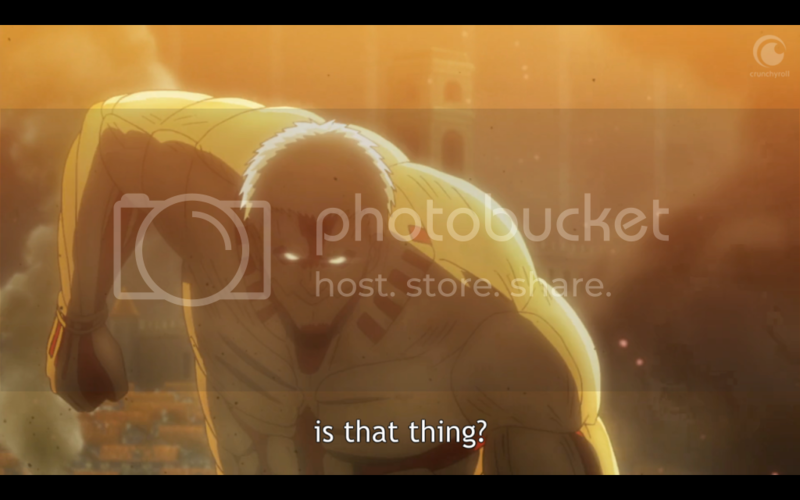 Eren gets into a fight with some guards that are saying more of the refugees should have been eaten by the titans. Eren and Armin argue over whether they should fight back, or rely on others to survive. Eren calls Armin a coward, and Mikasa hits him. She berates Eren about how they don’t have the strength, but for now all they can do is just survive. There is still not enough food, despite the refugees trying to grow more. So 200,000 people are sent to try and recover wall Maria. Only a few hundred survive, but the sacrifices allow the remaining refugees to have enough food. While Armin is mourning his grandfather, Eren vows to enlist in the army so that he can gain the power to destroy the titans. 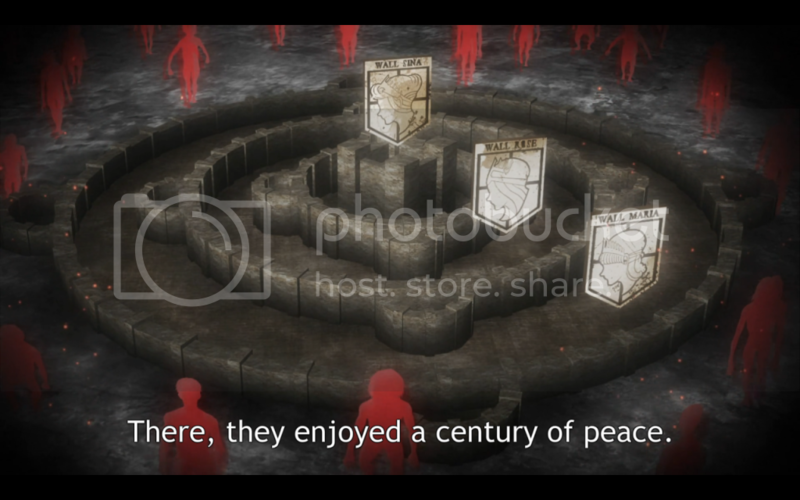 Armin and Mikasa decide to enlist as well, and the three of them begin their basic training. The firs thing I notice about this episode, compared to episode one, is that it feels a lot less personal. Episode one’s big strength was the personal element the horror took. And while there are certainly losses on a personal level, the story focuses away from that personal loss to focus instead on the large numbers of casualties. 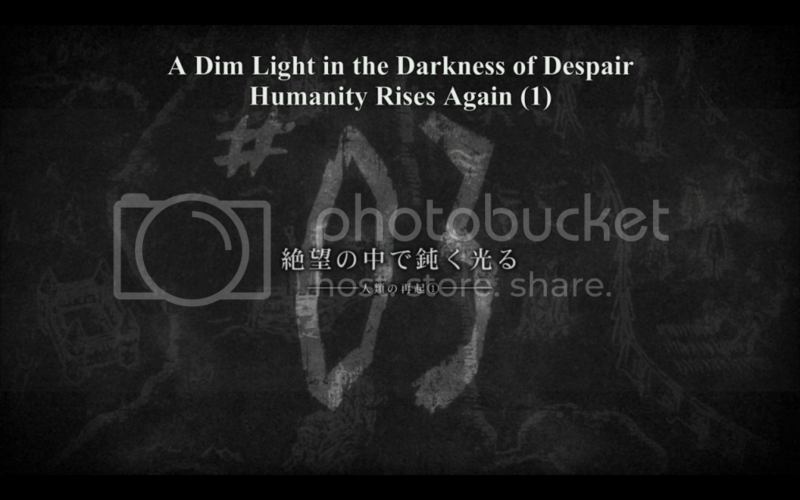 The opening focuses on some individual humans, but only for a minute or two. We don’t really get anything as horrifying as the death of Eren’s mother. 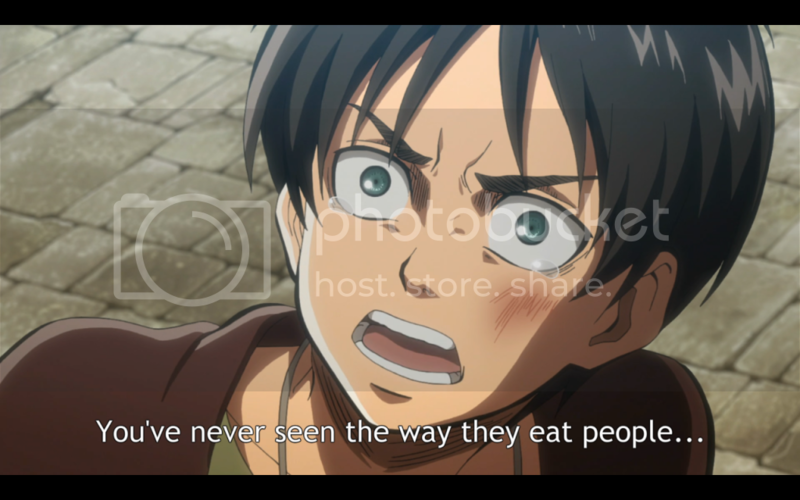 It’s hinted at that Eren’s father did something to him, though what exactly it was isn’t certain. The timing of everything makes little sense. And since Eren’s dreams are meant to be confusing and disorienting then I’d say job well done. But from what I can see, something happened when his father came back after the death of his wife, and that’s where Eren got the key. But he doesn’t wonder where the key came from, so I’m wondering if perhaps I missed something in episode one. The tradeoff for the personal sense of horror is that we are allowed a larger picture of the world these characters live in. Personally I think the trade is no in the show’s favor, considering how strong the sense of horror was in episode one. And considering most of the information is shared by a narrator I can’t say episode two benefits from that detached approach. Eren’s character arc, as much of it as we see in this episode, still allows for him to be somewhat of an annoying character, but he does grow at least a little bit. His lust for revenge, while a worrisome thing in and of itself, is well handled. I’m not the biggest fan of characters driven solely by revenge. 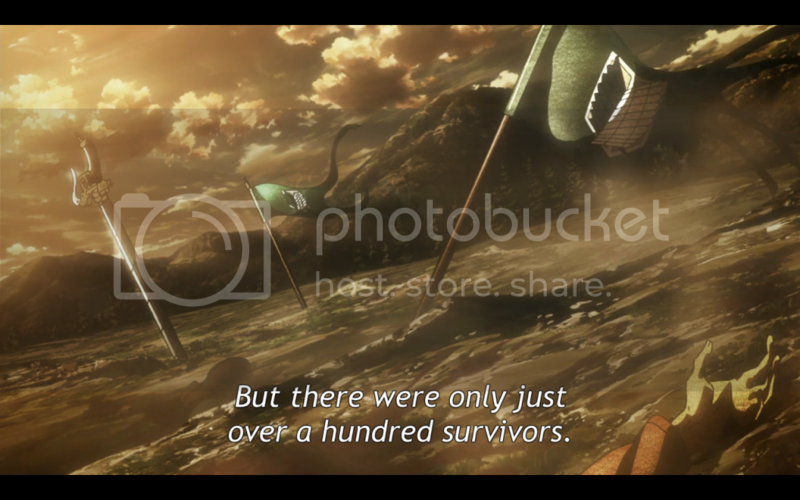 But because we saw the death of his mother at the end of the last episode, and saw it in as graphic, horrible detail as we could on a broadcast show, we can more fully empathize with Eren. In other cases we usually hear about the horrible thing that happened, or we see it but don’t ever see exactly how traumatizing it is. In Attack on Titan we see exactly how traumatizing the death of Eren’s mother is. And no matter how annoyed I may get by the constant repetition of, “I will have my revenge” I will still be one hundred percent behind him. 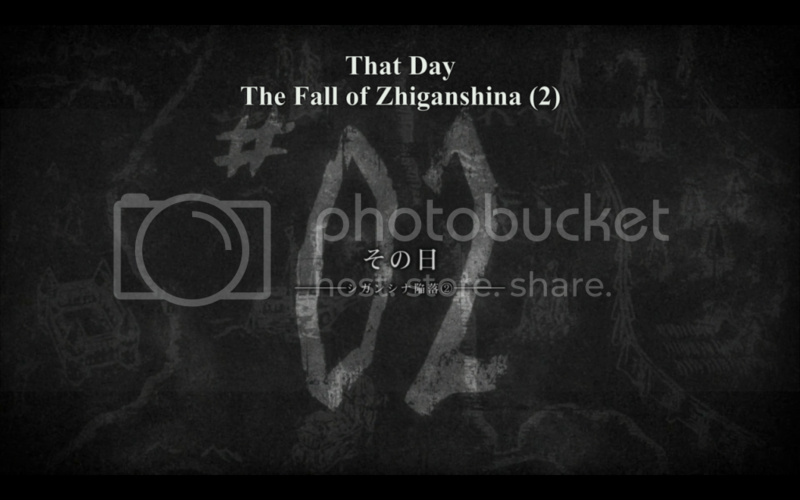 Still, I can’t help but feel this episode lacked focus on the main characters. Trading the big picture look at the situation made this episode weaker than the first episode. Still good, and the lack of severe horror made me think that perhaps this is something I wouldn’t mind continuing into episode three. The preview for episode three makes it look like a detour from what made episode one good, but I’d probably have to watch it before I can make a call. After seeing how different episode two was from episode one, seeing episode three as a departure from even these two episodes means that I can’t really determine what it will be like.